President Abdel Fattah al-Sisi and Tourism Minister Rania al-Mashat received the Secretary-General of the World Tourism Organization (UNWTO), Zurab Pololikashvili, on Monday. During their meeting, Sisi highlighted Egypt’s efforts to developing the tourism system through institutional reform, as well as training and qualifying tourism workers. He stressed Egypt’s keenness to cooperate with the organization to promote tourism as a vital pillar of Egyptian economy. The meeting discussed methods to maximize Egypt’s efforts in entrepreneurship and support young investors in the field of tourism, Presidency Spokesperson Bassam Rady stated. It also reviewed the country’s latest tourism projects, including destinations in new urban communities such as the new administrative capital and the cities of Alamein and al-Galala, alongside the Grand Egyptian Museum and the National Museum of Egyptian Civilization, which will contribute to promoting Egypt’s cultural and historical heritage and re-formulate the country’s tourist map, said Rady. 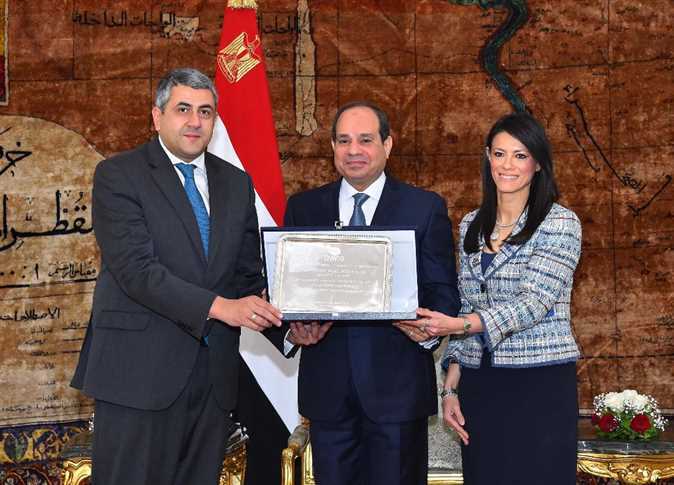 Pololikashvili had presented to Sisi the organization’s shield in recognition of his support towards the tourism sector, Rady added, through launching the structural reform program to develop the tourism sector in Egypt and achieve the 2030 sustainable development goals. He also praised the President’s role in consolidating sustainable tourism as a concept. Pololikashvili expressed his hope that the UNWTO would continue to work with Egypt as one of its founding countries, and that Egypt’s tourism returns to its deserved tourism position internationally. He also noted that the structural reform program for the development of the tourism sector in Egypt, which includes multiple reform dimensions aimed at raising the competitiveness of the sector, is a successful model that the UNWTO will make available to its member states through publication on the UNWTO’s official website, according to Rady.